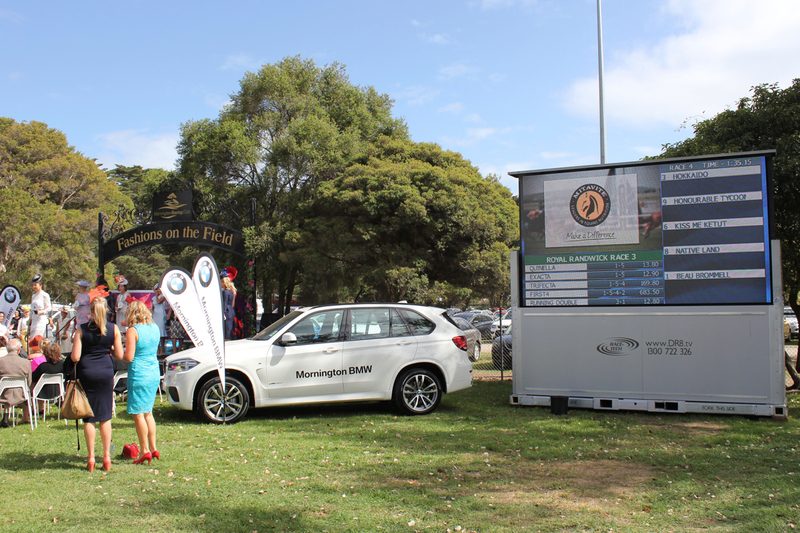 The sun came out for Mornington BMW Cup Day. 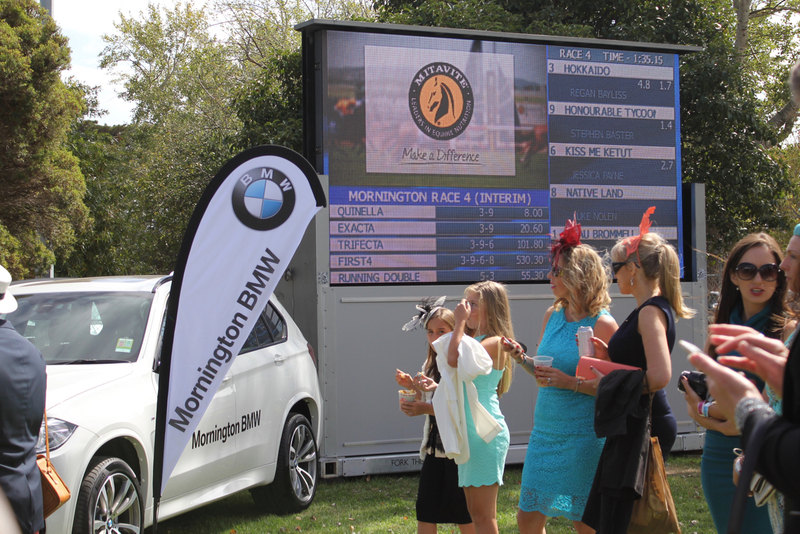 The ladies looking sensational with bold fascinators in Autumn colours. 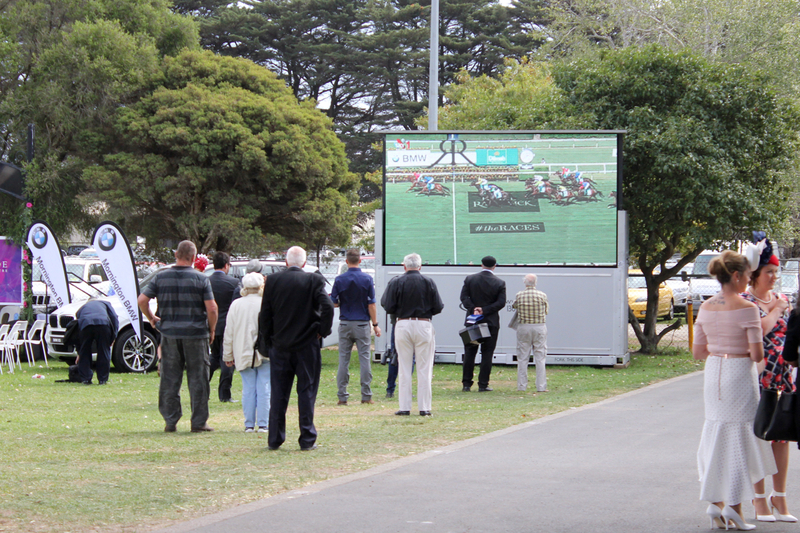 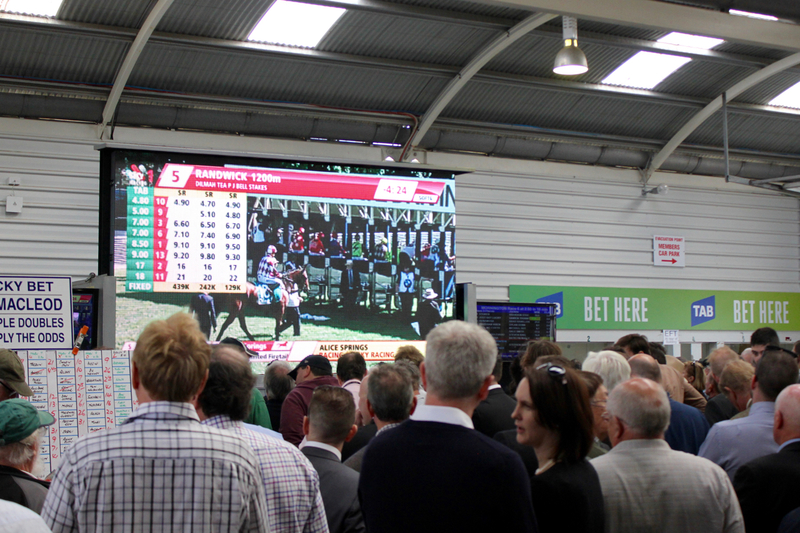 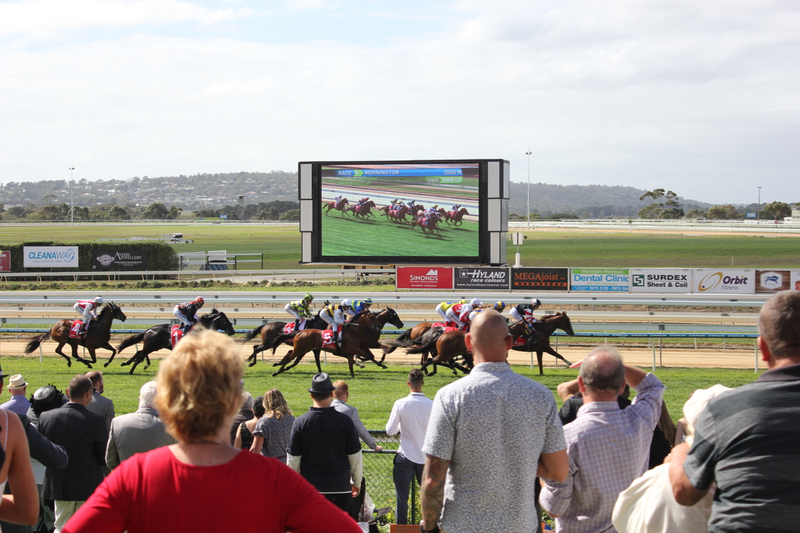 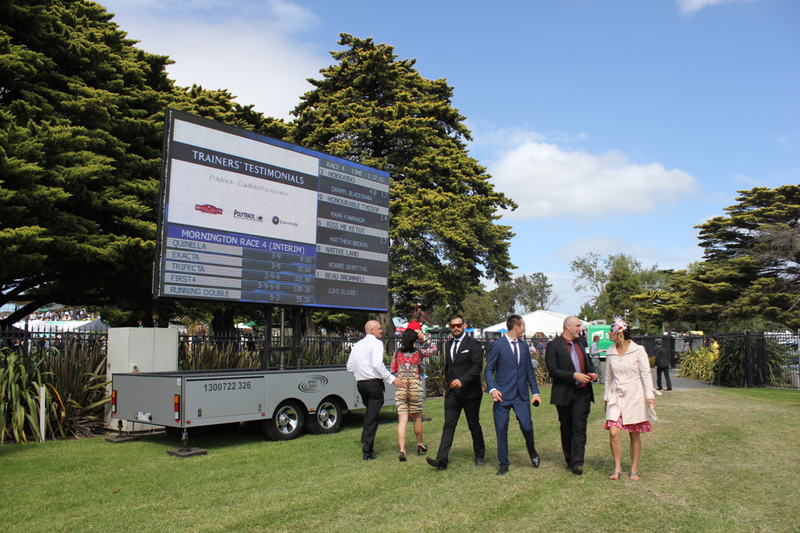 Crowds of punters gathered in front of the Big Screens to watch the days races unfold.